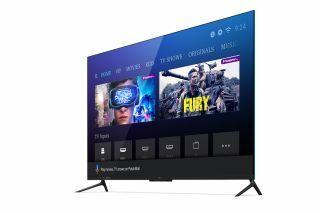 Xiaomi has been teasing the launch of a new TV in India for a while, and many reports speculate that it’s going to be the company’s first 65-inch TV in the country. While that’s yet to be disclosed, a new report suggests that Xiaomi is preparing to launch the Mi LED TV 4X Pro 55-inch with 4K resolution and also the Mi Soundbar on January 10. As per the official presentation document shared by Smartprix, Xiaomi might launch the aforementioned products alongside its alleged key product -- the Mi TV 4 65-inch variant. The Mi LED TV 4X Pro 55-inch is a 4K TV with HDR support. The leaked document suggests that it will feature 20W speakers and will use a 10-bit display panel for better color reproduction. It also mentions that the TV will PatchWall with Android TV OS, which allows users to switch between the two interfaces as per one’s preference and need. The Mi Soundbar has been in the Chinese market from some time, but it’s the first soundbar from the company to hit Indian shores. It has a sleek design that fits most room setting without spoiling the aesthetics of the area. The document shared by Smartprix reads “Mi Soundbar can set up in a mere 30 seconds”, and it also has connectivity options like Bluetooth 4.2, S/PDIF, optical, line-in and 3.5mm audio jack. The document further suggests that it features eight drivers, two 20mm dome speakers, and two 2.5-inch woofers and four passive radiators. After just six months of its first TV launch in India, Xiaomi became the leader in the smart TV market as per IDC. The company announced its first smart TV in Q1 last year, the Mi LED TV 4 PRO 55-inch. On its first flash sales, the TV sold out in under 10 seconds even with its Rs. 39,999 price tag. In Q2 2018, Xiaomi tripled its shipments to become the market leader in the smart TV category. The company, in November 2018, claimed to have sold 10 lakh units in the country in nine months. Looking at the growth, it’s clear that Mi TVs have managed to make their space in the booming TV market of India. Achieving the number one position in a market where loyalties lie in Samsung, LG and Sony in itself is a sign that Xiaomi is giving consumers what they want. The TVs are comparatively affordable and are being constantly customised for Indian audiences. Building upon the same, it’s the best time for the company to bring more variety to the customers looking for bigger screens.